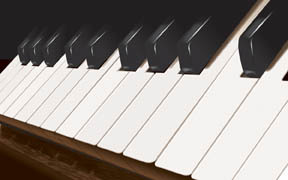 Most pianos, at one time or another, are likely to require at least a minor repair or two. Often, the purchase of a used piano will also result in a call for repair of some kind, usually along with a tuning. Fortunately, most repairs can be completed on location during the first visit. Occasionally, a large number of various repairs may be split up into two or more visits. This may be done to obtain needed parts, because of time constraints, or a customer's desire to budget costs over time. When I am servicing your piano on a regular schedule, I will also be looking out for anything that may lead to a problem and with foresight we can keep your piano trouble free. In the event you notice a problem develop between tunings, we can of course schedule a service visit between regular tunings.